they act with honesty and integrity to maintain high standards of ethics and professional behaviour in support of learners and their expectations. the purpose of the Standards is to support teachers and trainers to maintain and improve standards of teaching and learning, and outcomes for learners. 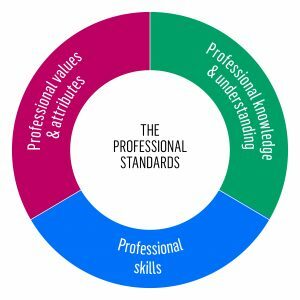 What’s in the professional teaching standards? Access the online Self Assessment Tool. If you would like to use a saveable version of the self-assessment tool, please sign into Foundation Online Learning. The ETF is asking teachers, trainers and managers in the Further Education and Skills sector to respond to a new survey about the use of the ETF-published Professional Standards. The survey explores the extent to which the Standards are currently employed, and how teachers and trainers can be better supported to use them to improve their practice and learners’ outcomes. Have your say by completing our 15-minute survey. The Education and Training Foundation commissioned a range of education providers throughout 2014 – 15 to create a set of ‘how to’ guides for the standards. The full set of documents can be downloaded from the Excellence Gateway. The teaching Professional Standards were written following an extensive review and consultation period across the Education and Training sector. Read the details of this work.